Seemingly out of nowhere, Microsoft earlier this week quietly added an entry to one of its support pages announcing that it was no longer accepting Bitcoin currency for purchases in the Microsoft Store. This came as a surprise in part because Microsoft didn't offer up a reason for its ban on Bitcoin, but it's all moot now because the company has apparently changed its mind. Actually, it seems to have been a mistake of some sort, for which Microsoft apologized, adding that the update should have never been posted in the first place. "We continue to support Bitcoin for adding money to your Microsoft account which can be used for purchasing content in the Windows and Xbox stores. We apologize for inaccurate information that was inadvertently posted to a Microsoft site, which is currently being corrected," Microsoft toldTechCrunch. The original statement, which has since been removed (though is still accessible through the Wayback Machine—fist bump to CNBC for the heads up), informed customers that they can no longer redeem Bitcoin in their Microsoft accounts. It also stated that existing balances could still be used to make purchases, but that no refunds would be given. 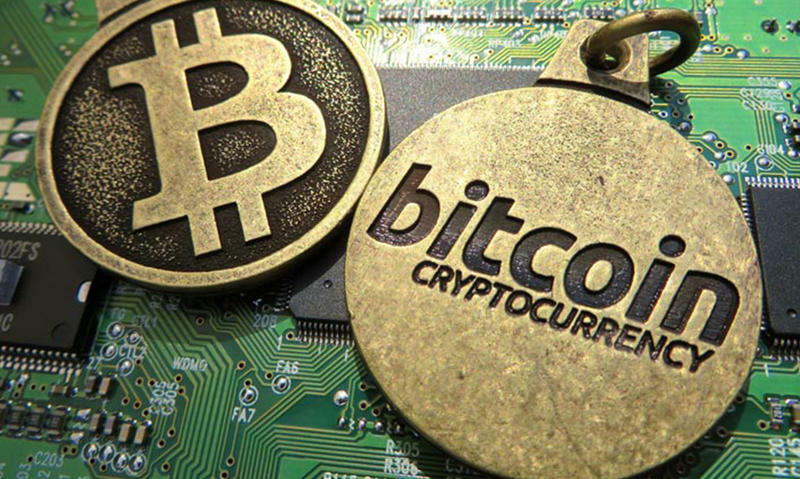 Bitcoin is one of the more popular (if not the most popular) cryptocurrencies in existence. It's temporary ban from the Microsoft Store prompted some to speculate that perhaps Microsoft was turned off by the currency's volatile swings in value, though it's been rather stable as of late. Microsoft started accepting Bitcoin currency in late 2014 as a way to purchase games and apps. Then just two months ago, Microsoft gushed in a blog post about the number of transactions BitPay was processing for merchants as a whole. "With a majority of merchant processing volume flowing through BitPay, we wanted to share some insights on the transactions that involved consumer purchases," Microsoft said. "BitPay has seen transaction volume increase by 50 percent just in the last two months and by 110 percent in 12 months. We saw record months for bitcoin transactions in November and December, with more than 100,000 BitPay invoices processed each month. At these rates, every 25 seconds a shopper somewhere in the world was spending bitcoin at a BitPay merchant," Microsoft continued. Microsoft didn't clarify how exactly it inadvertently banned Bitcoin for a short period of time, but if you're a fan of the cryptocurrency, all that really matters is that Bitcoin is still being accepted.